Welcome! 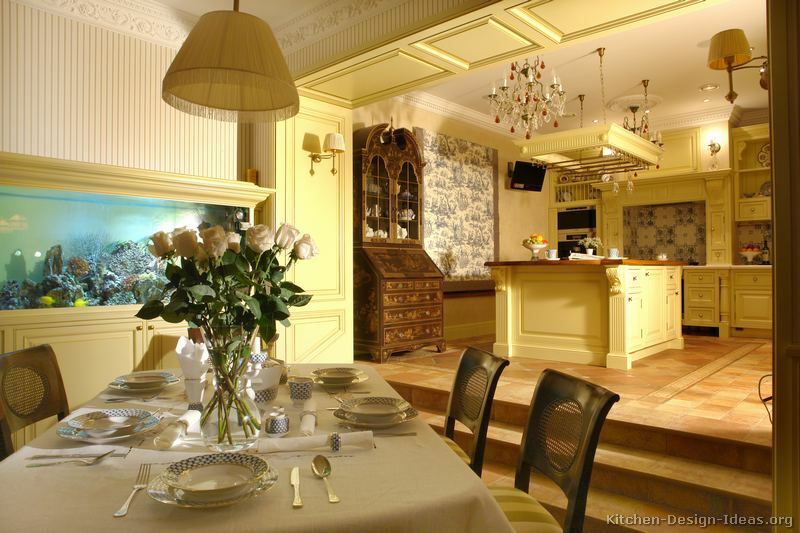 This photo gallery has pictures of kitchens with yellow cabinets in a traditional style. Take a look! Rise and Shine: Yellow reminds us of sunshine and friendship. From light pastel shades of yellow to more saturated hues, a yellow kitchen is sure to bring a friendly feel to the home. Is it any wonder that we often use yellow to color a simple happy face? Don't Worry - Be Happy: Yellow shines with optimism, idealism, and imagination. Bright "lemon yellow" tones can add a sense of energy to the typically dark and heavy traditional color palettes. 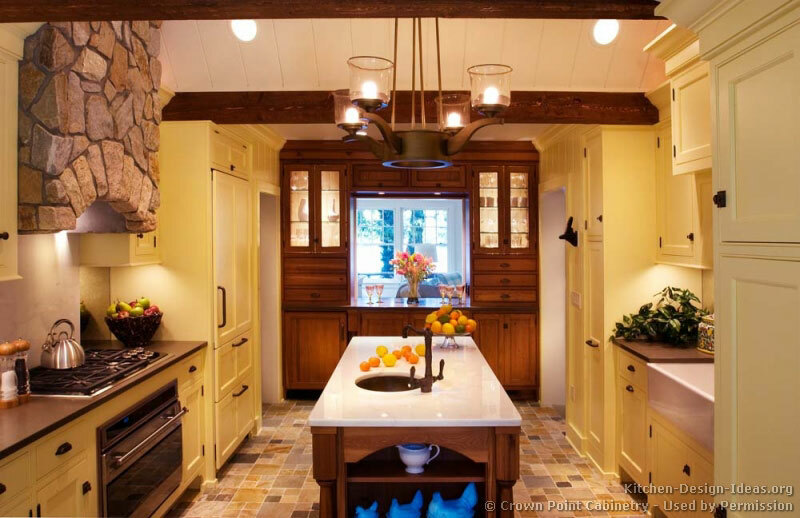 Soft "butter yellow" tones can bring calmer sense of light and cheeriness to any kitchen. 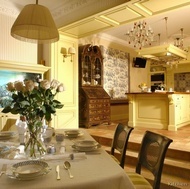 Yellow Kitchens - Trends: In different shades, yellow can be either trendy or timeless. Brighter tones will tend to be more energetic and trendy, while softer pale yellows are more timeless in traditional kitchens. 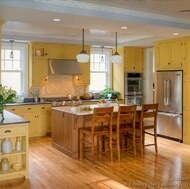 You'll find several pictures of kitchens featuring yellow cabinets, as either the central color or as a contrasting accent in two-tone kitchens. 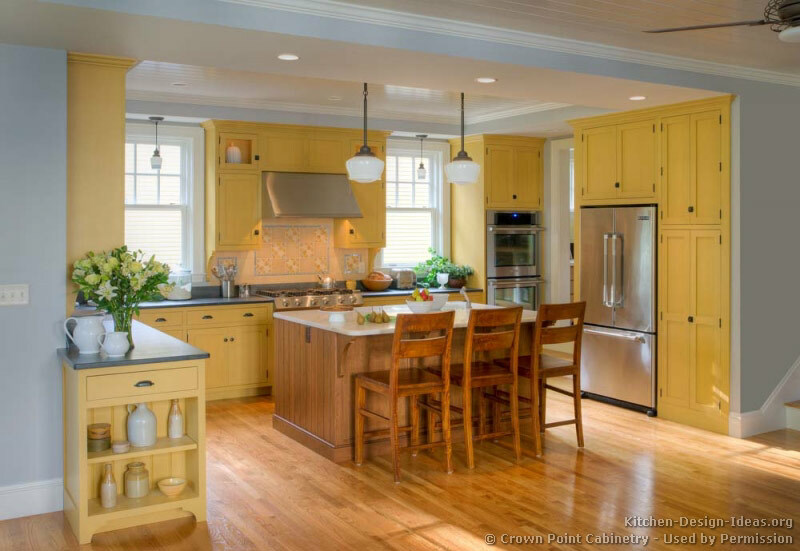 Everyday Use: Yellow cabinets require a moderate level of care and attention. Since dark stains and smudges stand out visually on a light surface, bright or light yellow kitchen cabinets may require more frequent gentle cleaning and dusting than "dirt-colored" wood cabinets. 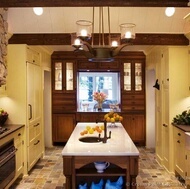 Knowing what to expect in advance can pay off with a lifetime of enjoyment in your traditional yellow kitchen.